ErMusicTV® Music Channel, ErMusicRadio® ErMusicNEWS ® WEB TV / All TOP HIT VIDEOS NON STOP! PLAY ANY VIDEOS ANYTIME ANYWHERE! Enjoy and share videos with your friends! Anytime anywhere!!! 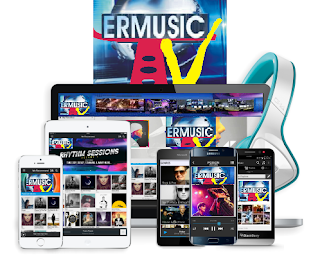 ErMusicTV® Your Music Channel! Every week New Music, the New Videos, Music Alerts with ErMusicTV Music Channel. No Subscription or monthly pays! Share with your friends!! WebTV FREE! Tell us what you are thinking ... ! Visit the profile of ErMusic NEWS on Pinterest. ERD Music is licensed under a Creative Commons International 4.0 Recognition License. © 2019 LYS Group. ErMusic® Times Square, New York, NY 10036 ErMusicTV® Music TV Channel and all other LYS Group brands contained herein are trademarks of LYS Group and / or affiliated companies.